Rahul Shinde resident of Zad Navga, Tal: Khanapur was martyred on Sunday Morning in West Bengal. 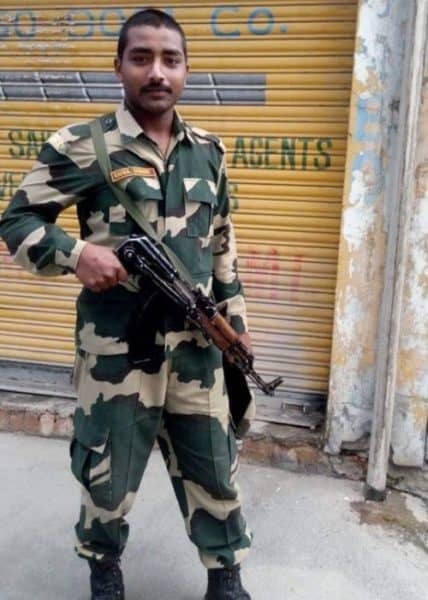 Rahul aged 24who was working with the Border Security force for the past 4 years was posted in West Bengal and today morning martyred while fighting back a Naxalite attack as per the preliminary information. Another 3 BSF personnel have also martyred in the same attack. His brother is also serving in the army and his parents are farmers. His marriage was fixed and he was supposed to come back on a holiday in April, his family said.